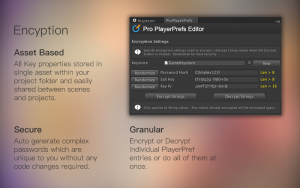 ProPlayerPrefs Editor is a Unity plugin that provides an advanced interface to edit your Unity in-game PlayerPrefs. 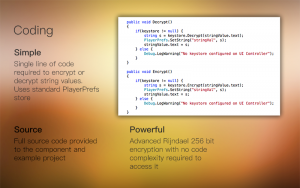 In addition, it provides advanced encryption and decryption of string values and an in-game class to read and write these values, providing protection of your valuable in-game data from prying eyes. 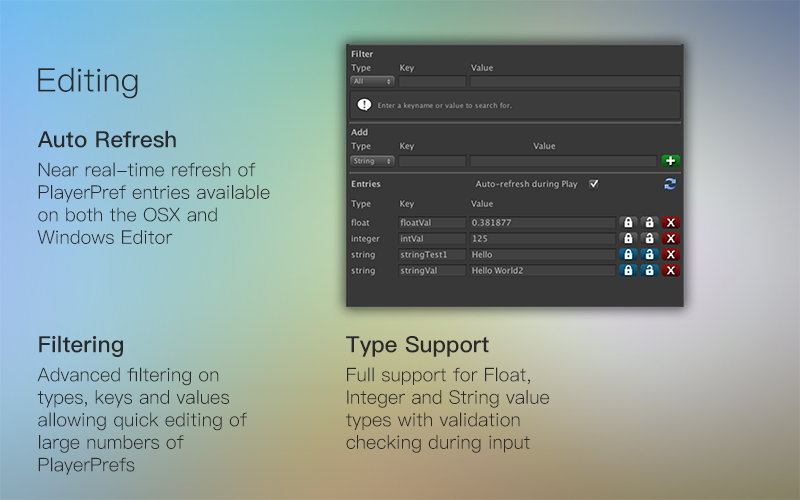 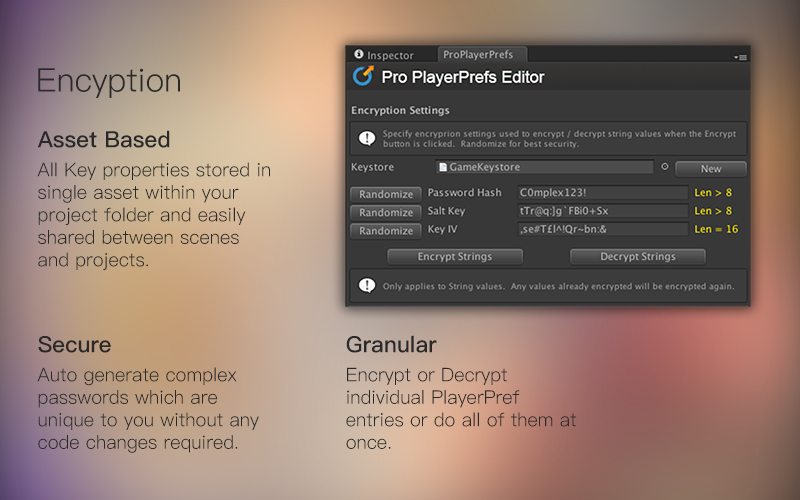 ProPlayerPrefs Editor is the most advanced component of its kind available.